A patriotic grouping of red, white and blue clematis displays just a few of the many varieties of clematis that you’ll find in the huge gardens of Barb Rudnicki, 395 Reserve Rd., West Seneca. 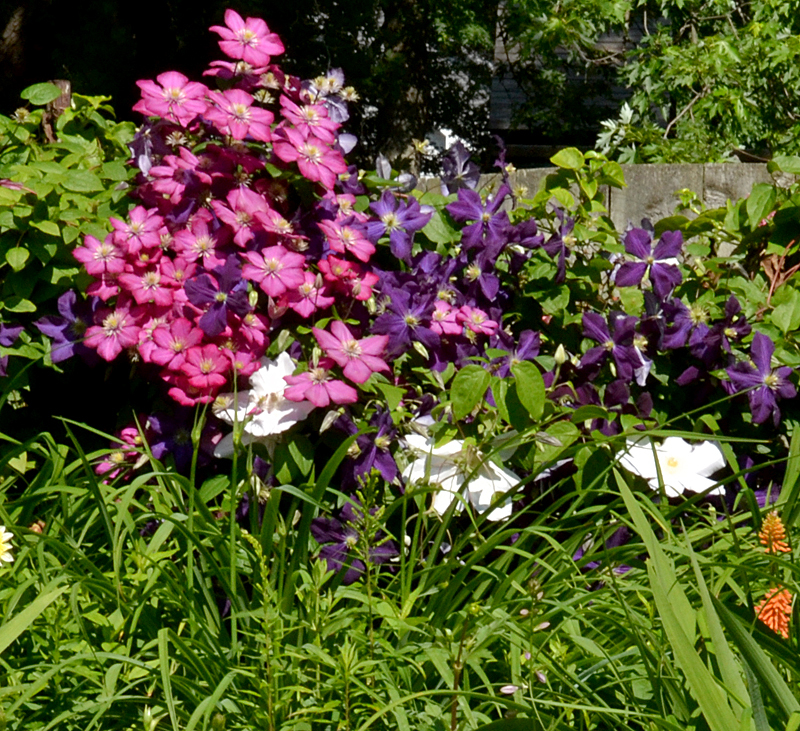 She will share her garden on the second annual West Seneca Garden Walk, which will take place from 10 a.m. to 4 p.m. Saturday, July 20. You can pick up maps at the Charles E. Burchfield Nature & Art Center, corner of Union Road & Clinton Street, West Seneca. 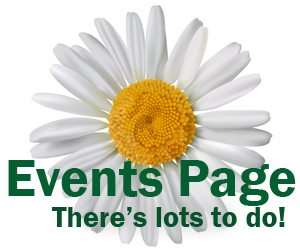 Coming up this weekend is the Grand Island Garden Tour. It will take place from 10 a.m. to 6 p.m. Saturday and Sunday, July 6 and 7 and you can pick up maps at Serene Gardens, 2800 Grand Island Boulevard, Grand Island. The clematis used for the patriotic grouping in the first photo are ‘Henryi’, white; ‘Jackmanii’, blue, and an unidentified red. At left is one of Rudnicki’s favorites, a ‘Kilian Donahue’ that smothers the trellis with flowers and foliage as it reaches beyond the window and toward the drainpipe. Above is ‘Betty Cornining’. 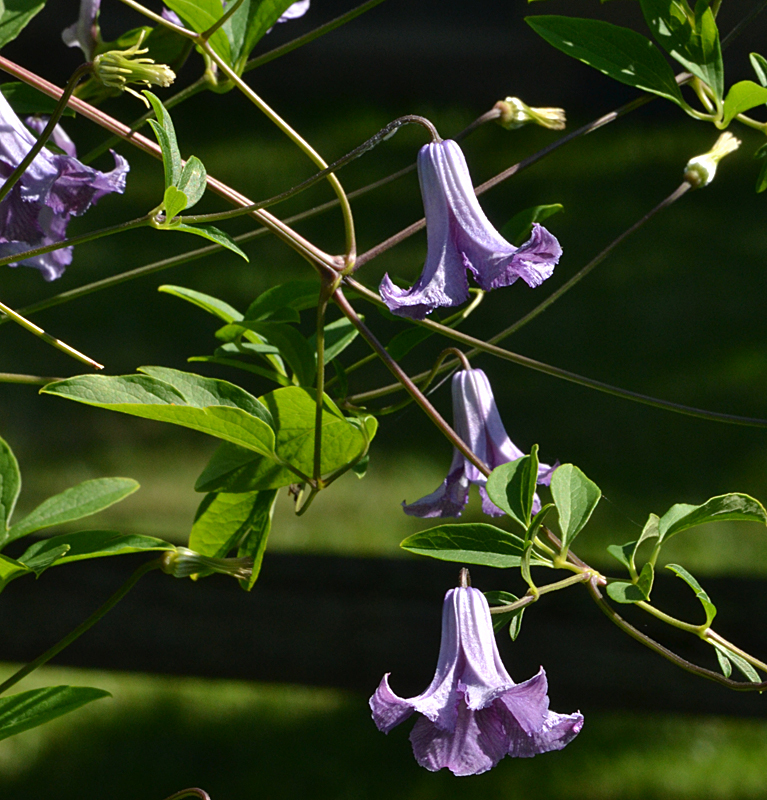 Its flowers are bell-shaped, which is unusual for clematis. 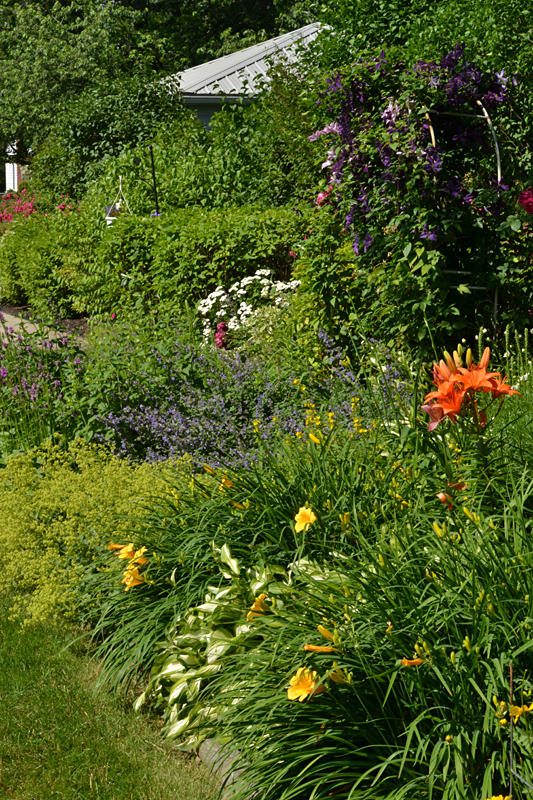 Rudnicki’s colorful perennial gardens start at the front of the house. The arched arbor toward the left of the porch holds a red rose that is blooming now, and in early May a white clematis was blooming. 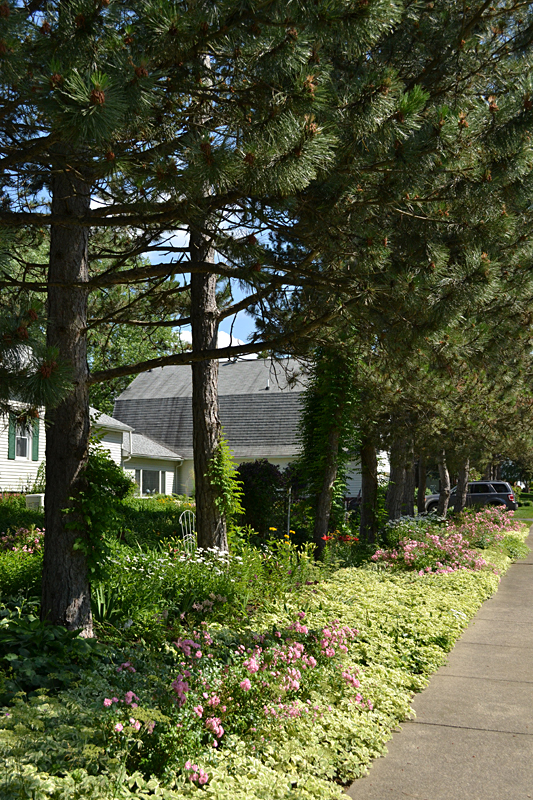 Rudnicki has paired two different plants on several arbors throughout the half-acre property. When you’re looking for flowers that come back every year, don’t overlook shrubs. 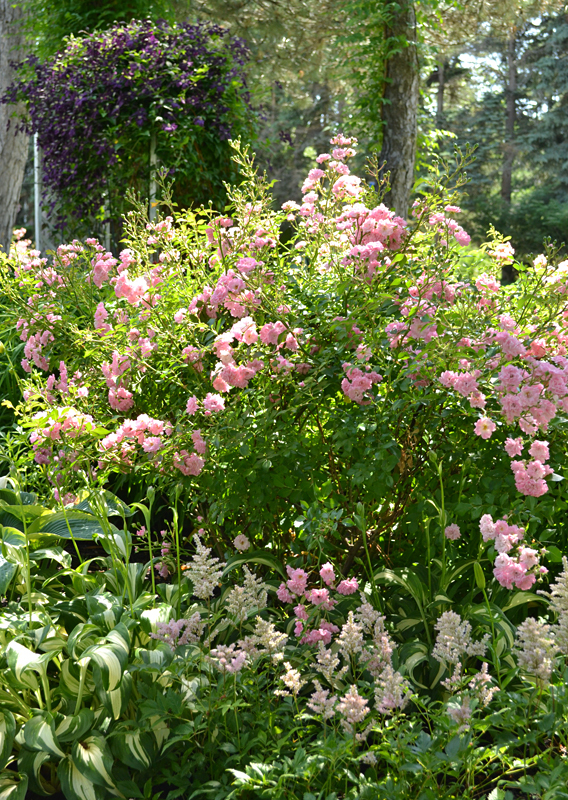 Some of her flowering shrubs are forsythia, weigela, spirea and butterfly bush. Even when they’re not in bloom, they add height to your garden. 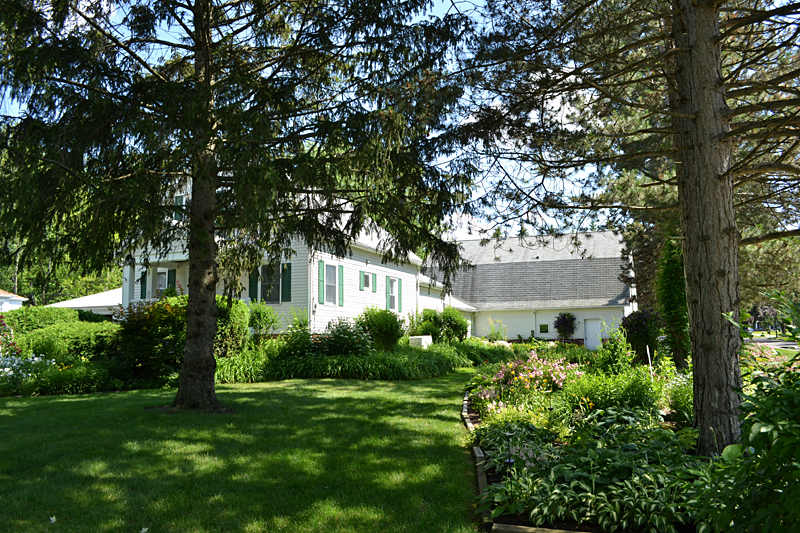 The Rudnickis’ home is a former farm house, and they attached the barn to the house, as you can see above. When they moved in in 1972, the only landscaping was the line of pine trees to the right of the house that the farmer had planted as a windbreak. 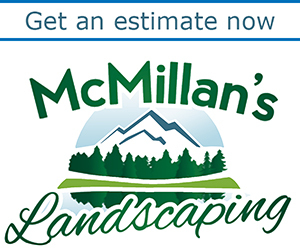 Over the years, Rudnicki created a huge perennial bed under the pines that measures about 26 feet by 60 feet. The garden gets morning and evening sun and is in the shade during the afternoon. It supports hostas and astilbe, which are considered plants for shade, as well as fairy roses and clematis, which tend to like more sun. Years ago, the branches of the pines reached almost to the ground.Rudnicki didn’t want to mow, so she planted ground cover. She chose bishop’s weed, which you can see above, then regretted that choice. “Never, ever plant bishop’s weed!” she said. I have heard this warning from many people. With its cream and green leaves, it’s definitely attractive, but it’s very invasive and very difficult to eradicate. She has placed barriers around it to try to keep it from spreading. Below is a view of a sunny spot in the backyard, but neighboring trees are creating more shade. In the side yard, as the pine trees lose branches and the trees themselves die, the garden is becoming more sunny. 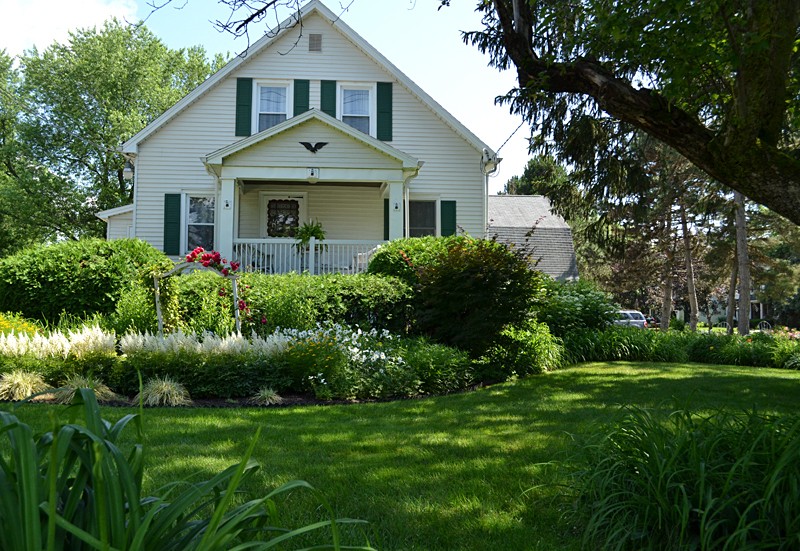 See Couple expresses differing gardening styles in West Seneca from the 2012 West Seneca Garden Walk. She has a beautiful garden! I hope to get there.